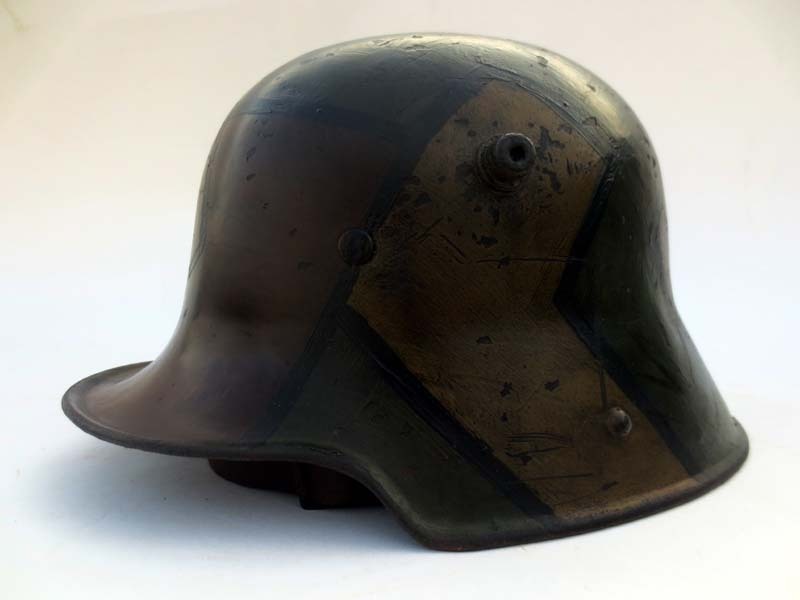 This is a rare 1st pattern m16 German helmet, known as a square-dip. 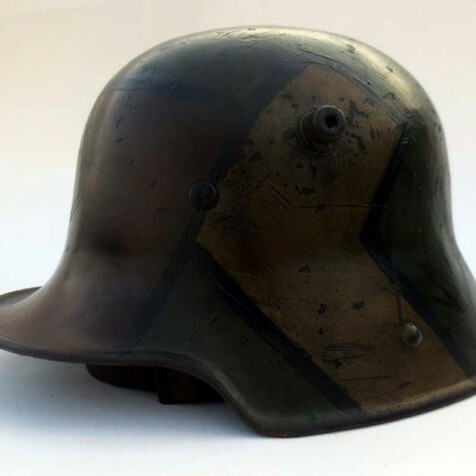 Only about 30,000 of these were made. 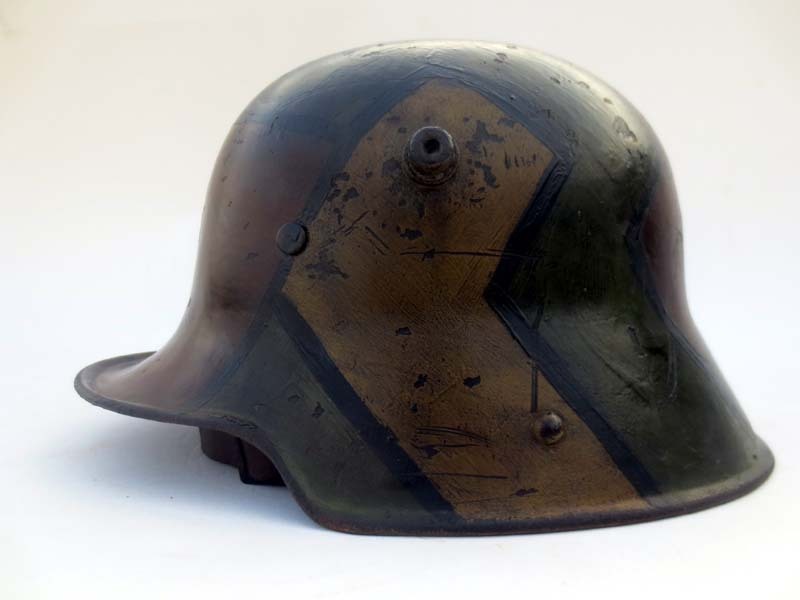 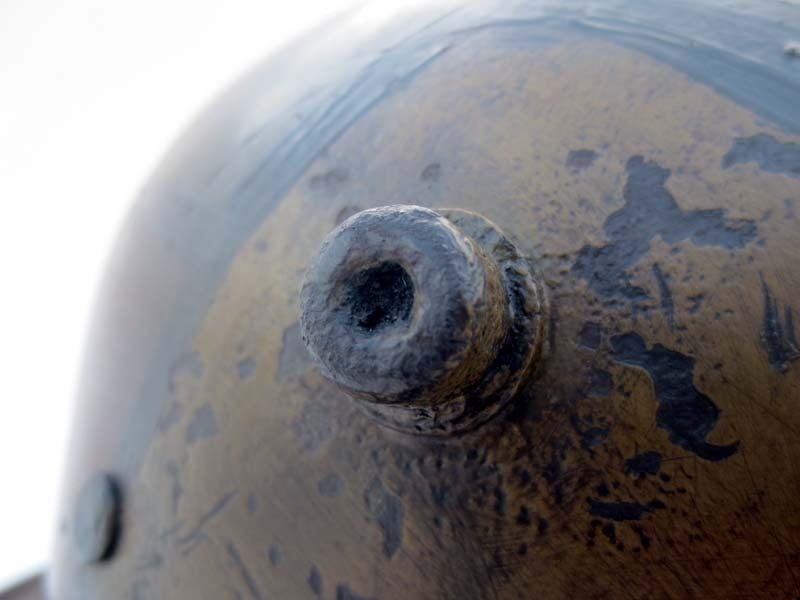 The helmet has been painted with a late-war fall pattern camouflage pattern. 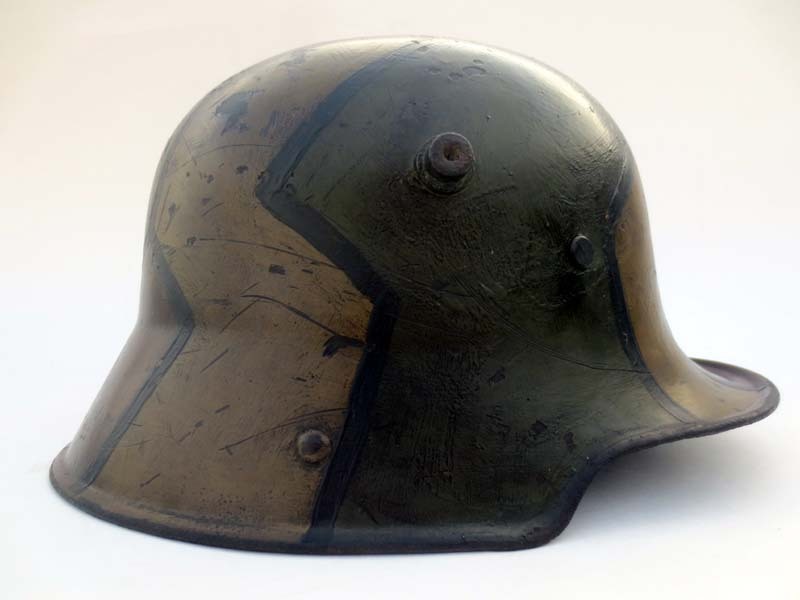 The helmet has been fit with an experimental 3-finger liner. 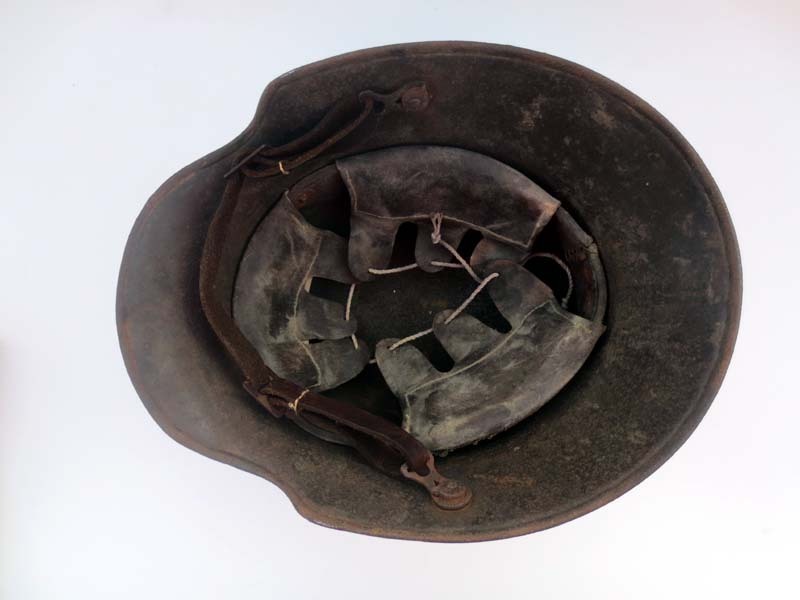 If you have one of these rare helmets that need to be restored A&SR can do it right.